If you’re looking for the best local Wilmington Delaware sliding door and patio door installation company, you have found us! 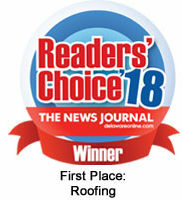 Voted Delaware’s #1 Home Improvement Company 7 years in a row by the Wilmington Delaware News Journal Readers’ Choice Awards, our family-owned and operated business boasts excellent customer service and craftsmanship. We specialize in residential sliding doors, residential patio doors, commercial sliding doors, commercial patio doors, sliding door replacement, patio door replacement, vinyl/metal/steel doors, french doors, sliding door installation, and all patio door installation services. Each year, we serve thousands of residential and commercial customers throughout the Wilmington Delaware area, including Delaware, Maryland, Pennsylvania, and southern New Jersey. Our Wilmington Delaware door installation team specializes in a wide variety of door services, and we are experts in custom doors and energy efficient doors. a wide variety of patio door services, and we are experts in custom patio doors and energy efficient patio/sliding doors. Our Delaware patio door installers help thousands of area customers every year with honest, sound advice for your budget. We are one of the top residential sliding door installation contractors in Newark, Delaware and surrounding area, and we are proudly certified to install the industry’s best patio doors from ProVia. 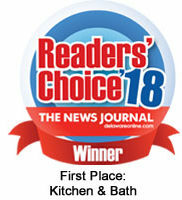 Each year, we complete thousands of residential patio door replacements in the Wilmington Delaware area, including Newark, Hockessin, & Greenville, Delaware; northeast Maryland, including Elkton, Maryland; southeastern Pennsylvania, including Chadds Ford, Glen Mills, & Kennett Square; and southern New Jersey. Call us today or click for a FREE ESTIMATE. Our trustworthy, honest customer service makes us one of the top-referred Wilmington Delaware replacement door companies in the area. We are a proud member of the Better Business Bureau (BBB) with an A+ rating. Most of our customers (60%) are repeat customers or referrals! Satisfied customers are the best billboards, so it’s in our best interest to do our best work for you. Read more about Our Company or view our Customer References. You know that we are one of the best door companies in Wilmington Delaware when a manufacturer gives us their highest certification and allows us to offer an elite warranty on its products. We are a proud ProVia certified sliding patio door installer and Provia certified patio door installation company, allowed to offer superior warranty coverage because ProVia trusts that our installation helps their patio door products to perform their very best. We warranty our products and our craftsmanship when we replace patio doors or install new patio doors—ask us for details about your specific patio door product—we pride ourselves in keeping things very simple for you to understand. Come Design Your New Custom Patio Door In Person – Visit Our New Kirkwood Highway Showroom! Touch & feel from a selection of Sliding Glass Doors – Patio Doors – French Doors – Steel Doors – Metal Doors – Solid Wood Doors! See what it feels like to open, close, or even lock the newest patio door models. Envision what your new patio door will look like with your siding by visiting our brand new, state-of-the-art showroom on Kirkwood Highway in Newark, DE 19711! See and touch door products and experience how your new door will perform. Perfectly design your custom sliding door and coordinate it with your patio or deck. Your home improvements are a big investment, and we want you to feel confident in your selections!